Each year the Designers Institute of New Zealand awards two Black Pins, its supreme award. For the past two decades, 43 Black Pins have been awarded, of which 40 have gone to men and 3 to women. For this year’s Best Design Awards (to be announced in September), of the 9 convenors of juries for judging the nine main categories and various sub-categories, 8 are men and 1 is a woman. Of the jurors and convenors combined, 46 are men and 15 are women. 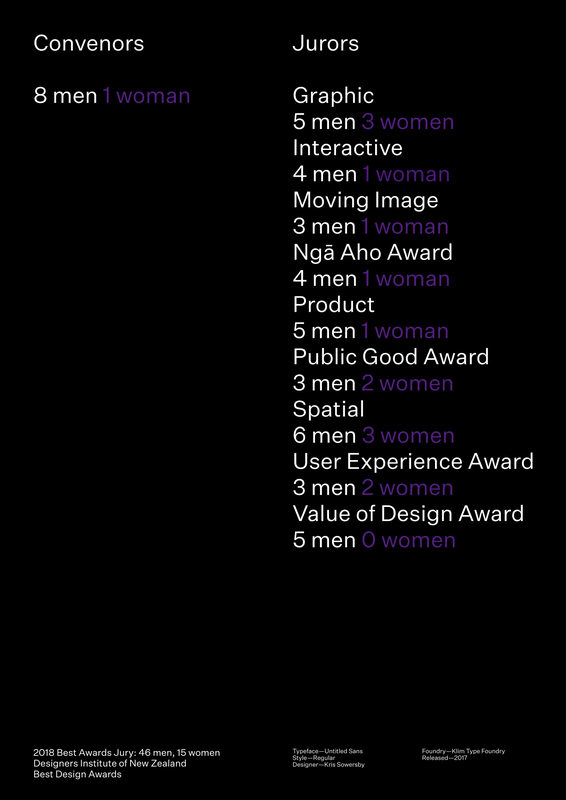 The jury for the Value of Design Award is made up of men only, no women. The three posters are made from information gathered from the Best Design Awards site — content (the words) and visual (the typeface Untitled Sans and the spot colour purple) — annotated with details of the typeface used as part of the type/word-play poster series. 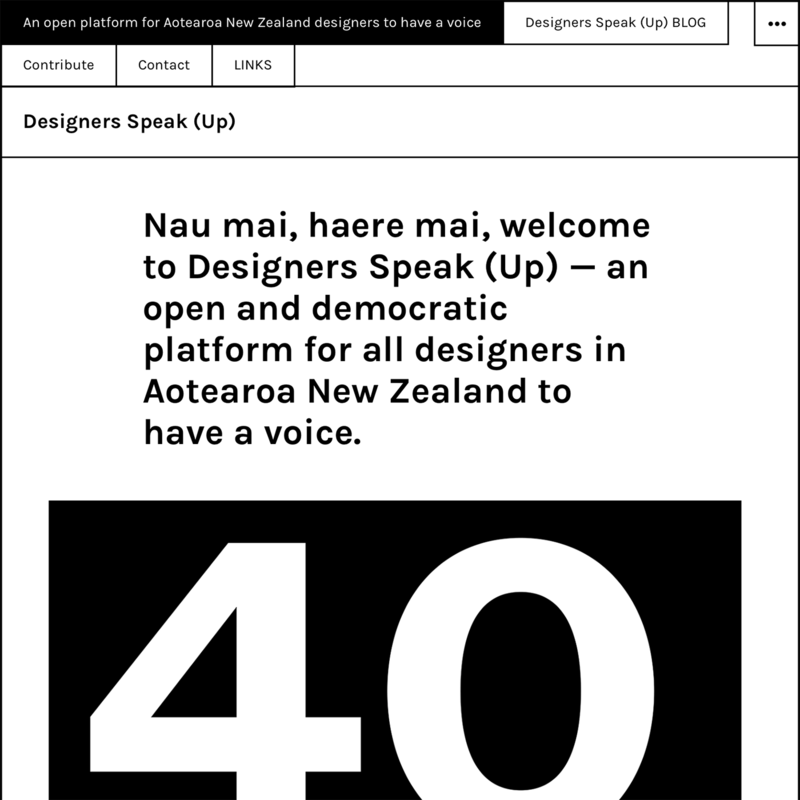 To kick-start a conversation available to everyone, several of us with the appetite have set up a blog, Designers Speak (Up as an open and democratic platform for all designers in Aotearoa New Zealand. 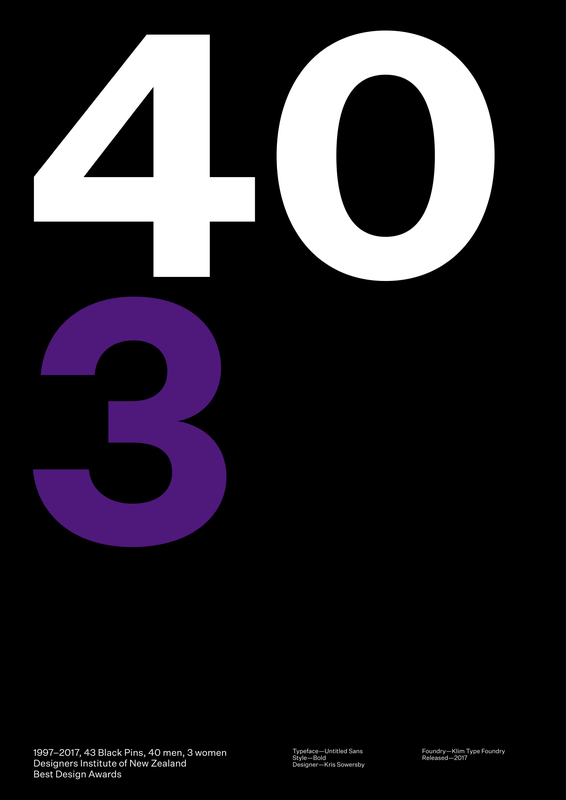 With the many passionate design voices out there, from students, teachers, emerging designers to late-career, Designers Speak (Up) aims to be a place to be heard fair and square, publicly or anonymously, and to keep the design community abreast of historic and real-time issues and concerns. Check it out, and join the conversation. “Each year the Designers Institute of New Zealand awards two Black Pins, its supreme award. For the past two decades, 43 Black Pins have been awarded, of which 40 have gone to men and 3 to women. For this year’s Best Design Awards (to be announced in September), of the 9 convenors of juries for judging the 9 main categories and various sub-categories, 8 are men and 1 is a woman. Of the jurors and convenors combined, 46 are men and 15 are women. The jury for the Value of Design Award is made up of men only, no women. Thank you for the invitation to this planning group. However, I want to remain independent. I cannot be part of this process. I’ve not been a member of the Designers Institute of New Zealand for some years, for several reasons including this glaring one. As well, I’m not a professional in the gender balance issues repair kit. The Designers Institute needs professional help to achieve a proper, accurate and safe outcome. I suggest that a professional audit be sought to assess the Designers Institute’s current gender balance status. That audit can then present a set of recommendations on how to quickly implement changes to achieve this important goal — a discussion raised over years with the Designers Institute. The essential requirement is not to pin the Designers Institute to the wall, but rather to independently and professionally discover where processes have gone dreadfully astray, compromising the credibility and personality of the Designers Institute, and provide solutions to rectify them. As well, the audit should clarify the Designers Institute’s status on other balances too, such as cultural diversity. 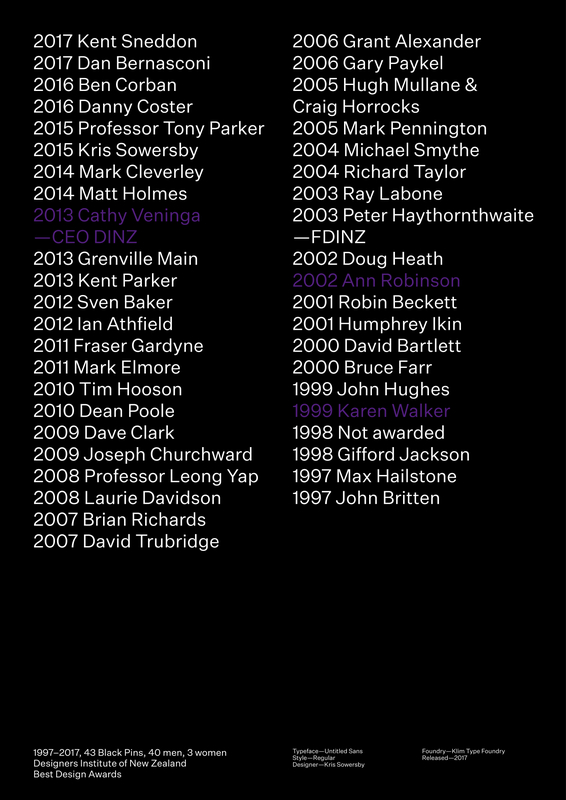 With that in mind, the name of Designers Institute should include Aotearoa — Designers Institute of Aotearoa New Zealand — DIANZ. For a forum to be public, open and transparent, the planning should come out of an audit process and recommendation, rather than be Institute-led. A planning group would ideally include gender balance, cultural and age diversity, with student, educator and professional representation across the disciplines under the Designers Institute’s umbrella. “Female Representation Forum” does not encompass the kaupapa, it is gender balance, and to consider other cultural balances. I see the Designers Institute board comprises 10 men and 3 women, including and CEO. Good luck with the process, this is an exciting moment for very positive change for the entire design community. Tēnā koutou ... thank you everyone for your support and responses. This is not a private matter. For whatever reason, the standard bearers of the Designers Institute of New Zealand (@designersnz) conceded to an unfortunate spread of a poison. Given the enormity and significance of the unsettled problem, it is a public matter, and must be resolved openly and publicly. The Designers Institute, and not only the Institute, must embrace diversity, and be seen to embrace diversity, a 50/50 gender balance (besides other balances it must consider), and be seen to understand why this has to happen, and be excited that this will happen, to see the real potential. The people are here. It needs to happen quickly and comprehensively, without excuse: the mother of all culture changes for proper representation. Aotearoa New Zealand deserves a design institute which represents people across boundaries: a simple flick of a switch. The Designers Institute must actively encourage too, an industry to stand up and embrace the value of the same crucial objective, to see this as part of its purpose and manifesto.